These days’ people have started modernizing their houses by using different styles of stairways. The main thing about them is that they add in a classy and sleek touch to your residence. In the modern world, the stairs have become a bare necessity. The reason behind this is that the houses have become compact and do not have much space, so instead of increasing the area of the home, they have started adding floors to the dwelling. This way, more people can be accommodated in the small space. Instead of using usual staircases, people are using stair balustrades. What is a balustrade and how does it beautify your home or commercial sector? A baluster is also called a spindle or a stair stick. A molded shaft is designed from a wooden plank. The baluster can be wood, metal or can be of glass. It is crucial to have stair balustrade railings as they are there for safety reasons and to prevent people from falling off the edge of the stairs. Today, people install the stainless steel stair balustrade because these balustrades are cost effective and needs less maintenance. Apart from that, if you wish to add more money to your home improvement then you can install the wooden balustrade. Why would you choose the wooden stair balustrade? They are considered as a very fashionable option that adds in a different texture to the whole stairway. The wood is regarded as a highly versatile element for this. They can be given a glossy surface, fresh touch to the wood or you can give in the semi-raw feel to the wooden railing of the staircase. 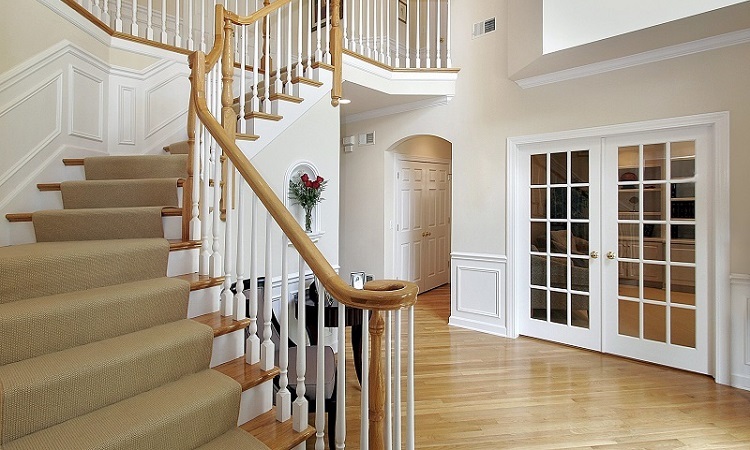 Recently, it was seen that the painted wooden stair railings are making a comeback in the market. But the current thing trending in the market is the stained wooden stair balustrades. So, in case you are planning to go ahead with wooden spindles or stair balustrades, you will have an ocean of options at your end. You can pick out different styles such as provincial, classic, Oxford, Georgian, colonial, twist, stop-chamfered, etc. People are considering giving a minimalist look to their houses. They are revamping their little homes to add in minimal furniture and some metallic elements along with brick architecture can add more value to your house. Metal is considered a highly malleable material and people are viewing it as the best alternative to wood. The thing about metal stairs is that it gives the house an industrial aesthetic look. Considering the metal look, people choose the iron-effect mild steel or stainless steel which does not prove to be too heavy on your pockets as well. Although home-owners are picking out different colors of metals as well. You can give these spindles a more relaxed edge by adding in certain metal parts complimenting the tone of the stair balustrades such as fittings and upholstery. In this case, you can choose the stainless steel balustrades for your stairs because they are rust-proof and they can last longer than other balustrades. 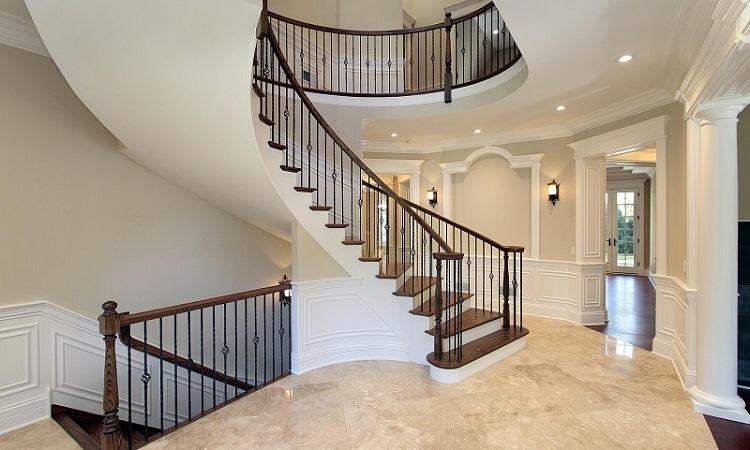 However, it is not a cakewalk to choose the staircases and the styles of stair spindles. Take your time, brush through different options and ponder over different options for them. Give your house a new look and a unique style, bringing a new effect.You can customize your stair balustrades as per your needs and you can search them online too. It is suggested to take the dimension of your stair areas before installing the balustrade and the designers will install the same within few hours. Apart from stairs, you can also use the same design balustrade in your balcony and parking areas. Idea Contributor: Anna Wrench, a knowledgeable and qualified blogger.